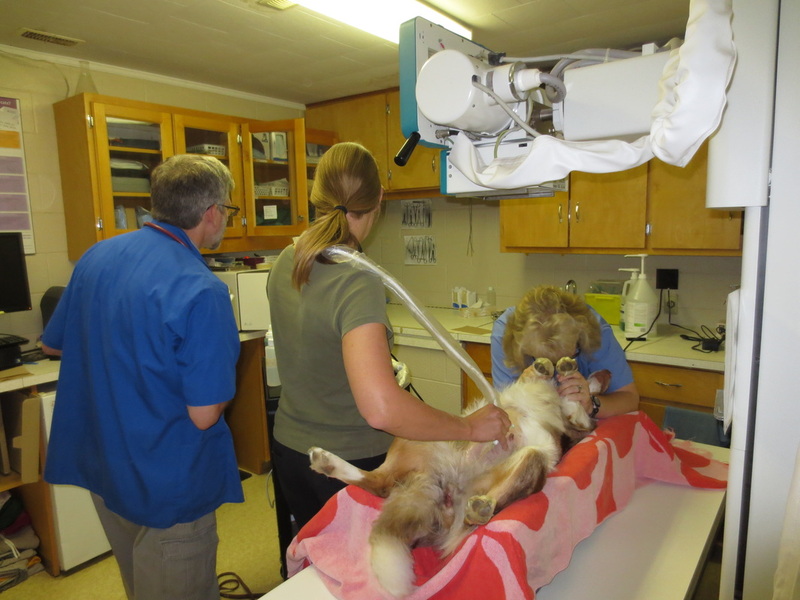 All of our vets are able to perform ultrasounds to detect pregnancy. This can be done after day 30 for dogs. 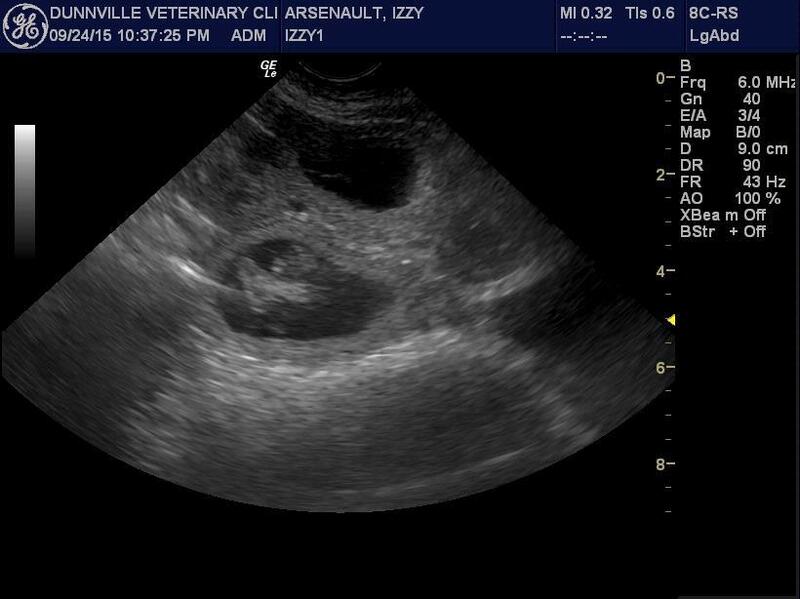 Ultrasound does not tell us the number of puppies but can show the active heartbeats to let us know if they are in distress. Ultrasound scans are also used to detect problems in the liver, heart, kidney or the abdomen. They may also be useful in helping the surgeon when carrying out some types of biopsies as well as locating the bladder to obtain a urine sample. For complete abdominal ultrasounds, Dr. Kadri takes multiple images of the different organs. Sometimes up to 60 different images are recorded. Interpretation of these images is performed by a board certified radiographer and we usually have the results within 24 hours of the scan. The clinic also has portable ultrasound units to use on the farm for detecting pregnancy in cows, alpacas, horses, sheep and goats. 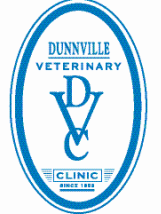 See the Equine services, Bovine services and Small Ruminant services for more information. Here is a pregnancy ultrasound that actually shows 3 puppies! There may be more though! Dr. Kadri performing a scan with Dr. Bob helping. Since patient comfort is always #1, we use foam troughs to lay our ultrasound patients on their back. Often times we will encourage the owners to stay with the pets for additional reassurance that they are ok. We try to avoid sedation in our ultrasound patients as they are often pregnant or sick at the time of ultrasounding.